The AquaRite 900 Series now offers unmatched comfort, convenience, and peace of mind. As the global leader in salt chlorination, Hayward provides luxuriously soft water and the most convenient sanitization method on the market to millions of pool owners around the world. 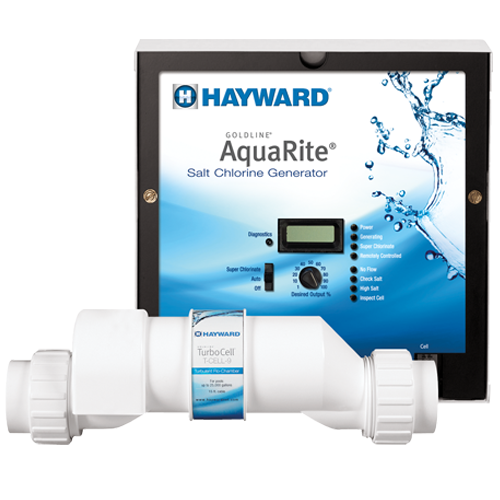 Whether converting an existing traditional chlorinated pool or simply adding smart pool control to an existing salt chlorinated pool for the ultimate pool experience, the AquaRite 900 series delivers the very best in soft, silky, and perfectly sanitized water without ever having to lift a finger—with a guaranteed peace of mind.